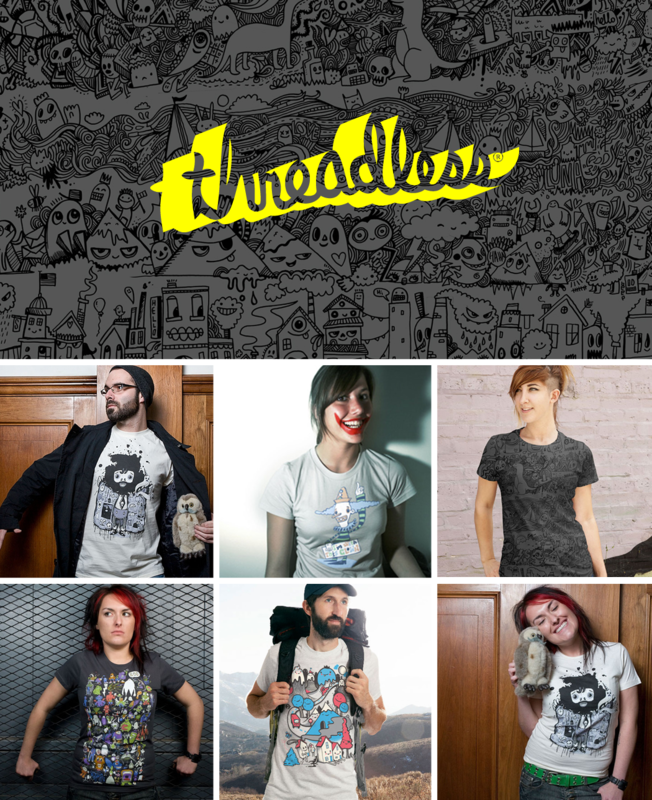 The pioneers of the design a T-shirt contest sites Threadless were the company that ignited a love of T-shirts for me. They selected two of my designs and also featured my art on the cover of their book. Back in the day these guys helped a bunch of artists elevate their art and get ‘discovered’.